City Despatch Post Scott 6LB? Printed by Rawdon, Wright and Hatch (which became the American Banknote Company). 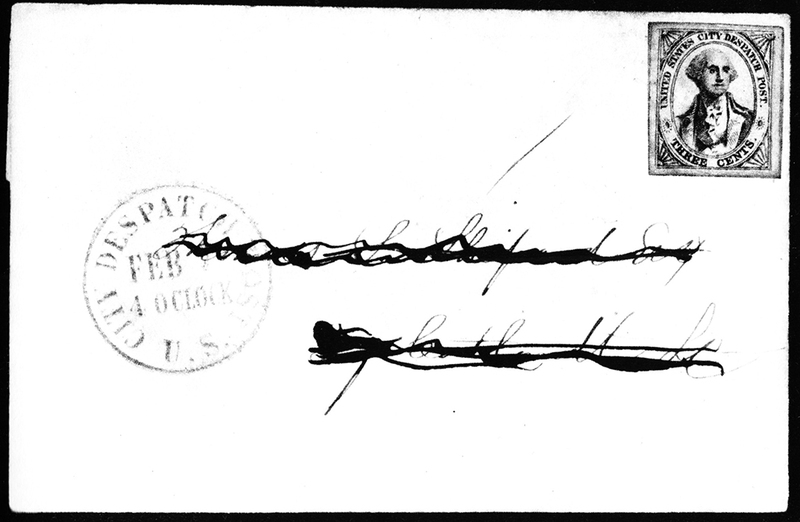 James Mackay in Classic Stamps  writes, "The honour of having produced the world's second stamps must be given to the United States which, although delaying the government use of postage stamps till 1845, witnessed the issue of stamps by various private despatch companies and semi-official carriers much earlier." The service was originated by "an English genteman, Henry Thomas Windsor, who lived in Hoboken, New Jersey, from May 1841 till the autumn of 1842 ... he formed a partnership with an American businessman, Alexander M. Greig" and the service was known as "Greig's Post". 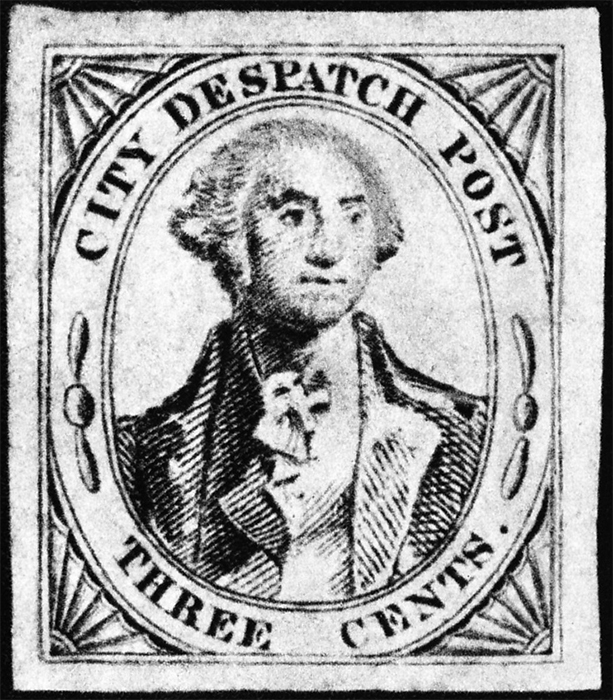 It was taken over by the Postmaster General in August 1842 as the United States City Despatch Post.